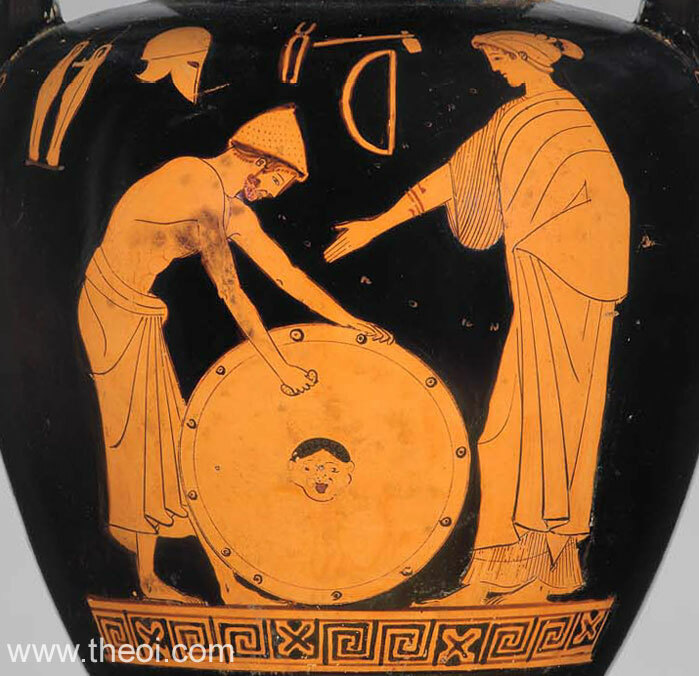 Side A: Thetis receives a set of armour for her son Achilles from the divine smith Hephaestus. The god stands polishing the new shield which is decorated with a small Gorgoneion (Gorgon's head). A pair of greaves, helm and the smith's tools hang from the wall. This painting illustrates a scene from Homer's Iliad. Side B: Nike (not shown).